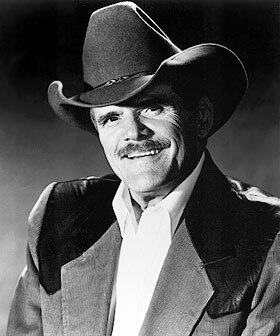 Highly regarded by his peers as one of country music's finest singers, Johnny Paycheck has been frequently compared to George Jones. Whenever he appeared on the Grand Ole Opry, it was not uncommon to see other performers lining the stage to watch the singer and guitarist perform any number of the songs he popularized such as "A-11," "Old Violin" or his most famous song, "Take This Job and Shove It." The Grand Ole Opry member lived a life that included many high points, but one that was also wrought with despairing depths. After Paycheck received some long overdue success based on the strength of his 1977 recording, "Take This Job and Shove It," his stormy personal life -- and subsequently his career -- suffered. Problems with drugs, alcohol and legal difficulties made it difficult for Paycheck to enjoy his good fortune. Born Donald Eugene Lytle on May 31, 1938, in Greenfield, Ohio, Paycheck was playing in talent contests by the age of 9. Billing himself as "The Ohio Kid," he left home while still in his teens and knocked around the country playing bar gigs and clubs before enlisting in the U. S. Navy. While in the service, Paycheck was court-martialed in 1956 for hitting a superior officer and served two years in a military prison. After his release, he roamed around until finally settling in Nashville. His considerable talents did not go unnoticed, and Music Row executive Buddy Killen signed Paycheck to a songwriting deal with Tree Publishing (now Sony/ATV Music Publishing) and landed him a Decca Records contract. Using the stage name Donny Young, the singer recorded four singles for the label that failed to make a dent on the charts. A pair of singles for Mercury in 1962 ended similarly. After his initial attempts at a recording career failed to yield results, Paycheck went to work for some of the top bands in country music including those of Porter Wagoner, Ray Price and Faron Young. From 1962-66, Paycheck was the front man and bass player for George Jones' band, the Jones Boys. 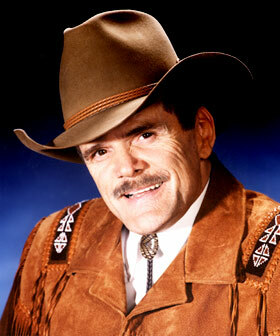 The singer re-invented himself as Johnny Paycheck, taking his name from a professional boxer. In 1966, he hooked up with producer Aubrey Mayhew and legally changed his name. A pair of singles, "A-11" and "Heartbreak Tennessee," for the tiny Hilltop label produced some chart activity. Paycheck and Mayhew formed Little Darlin' Records in 1966 and during the course of the next three years, Paycheck's singles were consistently hitting the charts. Paycheck enjoyed his first Top 10 single in 1966 with "The Lovin' Machine" and quickly followed up with "Motel Time Again," and "Jukebox Charlie." In December 1966, Tammy Wynette placed her first single on Billboard's chart with her recording of Paycheck's song, "Apartment #9." Sharing co-writing credits with Fuzzy Owen and Bobby Austin, the song was named the Academy of Country Music's song of the year. Ray Price had a Top 5 record with Paycheck's "Touch My Heart" in 1966 as well. By decade's end, Paycheck and Mayhew parted ways and the record company, deeply in debt, folded. As a result, Paycheck bottomed out -- for the first time -- and was drinking heavily and living on the streets of Los Angeles. After some keen detective work by CBS executive Nick Hunter, who tracked the singer down, Billy Sherrill signed Paycheck to a contract with Epic Records. By the end of 1971, Paycheck was back on the charts with "She's All I Got," which peaked at No. 2. Paycheck's cover of that Freddie North R&B hit also cracked the lower registers of the pop charts and received a Grammy nomination. Paycheck followed up his success in the spring of 1972 with "Someone to Give My Love To," which also reached the upper registers of the charts. That same year, more trouble ensued when Paycheck was arrested and convicted on check forgery charges. The judge was lenient on the singer who received a suspended sentence. For the next five years, Paycheck maintained a presence on the record charts with varying degrees of success. A duet with Jody Miller, "Let's All Go Down to the River," made a fair showing, peaking at No. 13 in 1972. Sherrill then set about smoothing out Paycheck's image by molding him into a singer of love ballads. Singles such as "Love Is a Good Thing," "Something About You I Love," "Mr. Lovemaker," "Song and Dance Man," "My Part of Forever," "Keep on Loving Me," "For a Minute There" and "All American Man" all made admirable showings on the charts. After the Outlaw movement of Waylon Jennings and Willie Nelson took hold of country music in 1976, Paycheck was recast by Sherrill to fit that genre of country music. Perhaps hoping to capitalize on Paycheck's checkered past and rough and rowdy ways, this approach seemingly worked. Paycheck had a fairly good run on the charts beginning with 1977's "Slide Off of Your Satin Sheets" and "I'm the Only Hell (My Mama Ever Raised)," which both went Top 10. In June 1977, "Take This Job and Shove It" entered the charts and provided Paycheck with his sole No. 1 song. Written by David Allan Coe, what was intended to be a song about a bad relationship, "Take This Job" was adopted as a battle cry for dissatisfaction in the workplace. Hollywood seized the opportunity to produce a film by the same title in 1981 starring Robert Hays of Airplane fame. The follow-up single, "Georgia in a Jug" (backed with "Me and the IRS") didn't fare as well on the charts, but in late 1978 Paycheck bounced back with the Top 10 single, "Friend, Lover, Wife." Into the early 1980s a string of singles, many of them dealing with the theme of drinking such as "Drinkin' and Drivin,'" "Fifteen Beers" and "D.O.A. (Drunk on Arrival)," did little to keep the momentum of Paycheck's late '70s success moving forward. A tour and a duet with Merle Haggard ("I Can't Hold Myself in Line") failed to jump-start Paycheck's career. A quartet of singles with Jones performed a little better with covers of Chuck Berry's "Mabellene" and Roy Hamilton's "You Can Have Her" both cracking the Top 20. By 1983, Paycheck and Epic parted company, and he signed on with AMI Records the following year with minimal results. Paycheck's personal life continued its downward spiral. Chronic financial woes and problems with the IRS forced Paycheck into bankruptcy a few years earlier. On a trip back to Ohio to visit family for the holidays, Paycheck had his final -- and most serious -- run-in with the law. When a barroom-disagreement turned ugly, Paycheck shot and wounded his antagonist and was sentenced to prison. While going through the appeals process, Paycheck was signed by Mercury Records and scored a Top 20 single with "Old Violin." After exhausting all of his appeals options, Paycheck was sent to the Chillicothe Correctional Institute. While incarcerated, Paycheck's old pal Haggard performed a show for the inmates, and the pair recorded an album that, to date, has not been released. Paycheck served two years in prison and upon his 1991 release, emerged clean and sober. Paycheck also made good on the conditions of his parole. He kept his life on a straight course and gave anti-drug talks to young kids around the country as part of his required community service. To his credit, and with an uphill battle ahead of him, Paycheck returned to the music industry and tried to once again to resurrect his career. The singer resumed his touring career, which included appearances in Branson, Mo., and recorded for Playback Records. In 1996, the Country Music Foundation released a collection of Paycheck's early recordings for Little Darlin' that found favor with young fans of classic country music. Paycheck became a member of the Grand Ole Opry in 1997. He died on Feb. 19, 2003, following a lengthy illness.